With a long record of successfully guiding clients through the buying and selling process, Preston Peters has proven that his clients and their best interests ALWAYS come first! Preston has worked every aspect of the real estate industry representing sellers, buyers, investors and banks in both the residential and commercial markets. 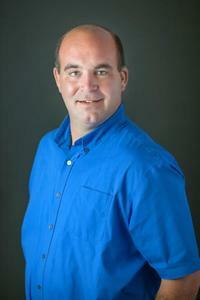 He has a natural knack for numbers that has benefited his clients in every aspect of real estate sales over the years. Away from the office, Preston is an avid outdoorsman, having fished nearly every lake within a 70-mile radius of Brainerd Lakes. He knows the Good, Bad and the Ugly when it comes to Lake Shore properties and has traveled most every back road around in search of turkeys, bear, grouse and whitetails. Preston lives in the Pequot Lakes area with his wife and 3 children.